Due to the fact I am not the very social kind of person, I only share my images with very people. Internet and social networks helps me share my images impersonally and almost anonymously. 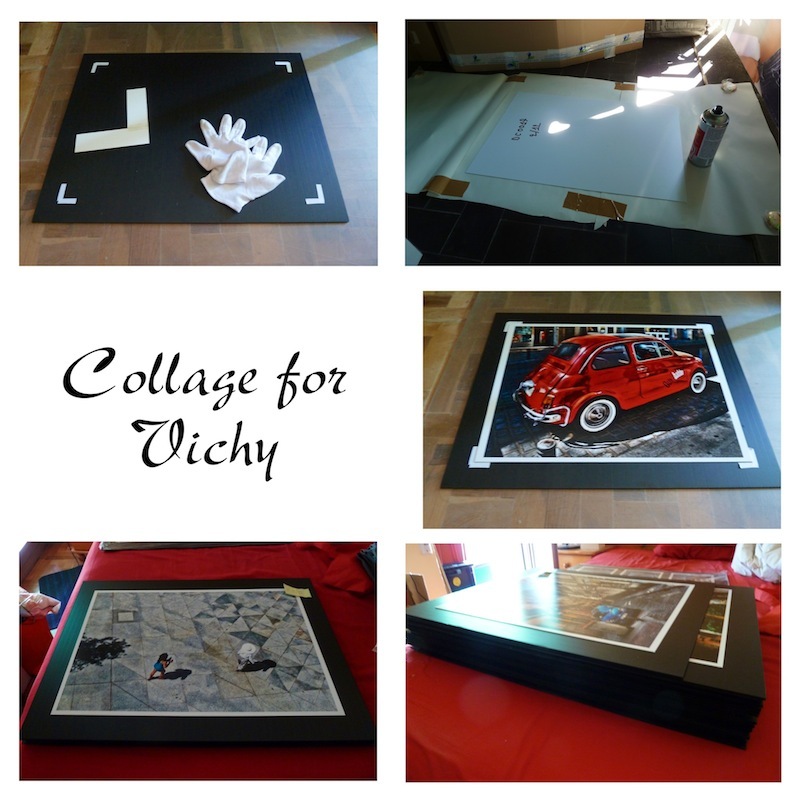 2012 is the year of the change in that area, my photos stopped being virtual and became physical object, this is to say artworks I shared with people in Vichy (France). “Desde Madrid con Amor” (From Madrid With Love) is a collection of digital images highly manipulated but scarcely retouched: What we see on the image was present at the moment of capture. Almost all are obtained via “HDR” process consisting in combining digitally various snapshot to get final image. This technique literally allows to make colors appear with a level of control similar to painting and at the same time get details despite of light differences. Madrid being a colored South city with strong sun and intense shadows is well rendered by this technique. In my usual occupation, I am condemned to precision and accuracy. In change, as an artist, I like to follow my heart better than rules. So, I am in search for beauty of the details all the time. I like to make images (studio) and I have projects based in this aspect, but I also like to make a photo from a casual situation. 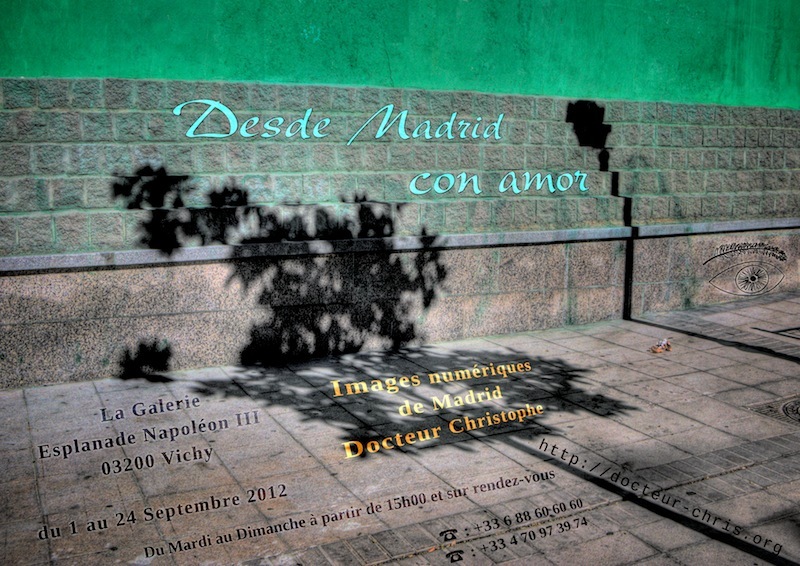 “Desde Madrid con Amor” is a series of still scenes of Madrid overcome by the heat, far from the usual frenetic activity. As we are drowned by photos of people, a lot of person think that photography is synonymous of portrait. Beyond people, there is a world of images as alive as those chimeras half-human, half-pixel traveling with us all day long. That’s why people are only playing passer-by role in this trip in Madrid. Chase Jarvis says that the best camera is the one you have with you. With this mindset, and according to my wealthiness or time, base photos could have been taken with a 35mm SLR, “cheap” 3 to 12 mega pixels digital compact camera, sometimes with a high end second hand compact camera more and more recently with a DSLR bought in a very bad state. Nothing removes the emotion of the moment neither changes the eye behind the camera. The prints I called “printotypes” were a series of tests worthy of Victorian photography. My goal was to obtain by all means images more interesting than typical prints we had in the year 2000. I am currently working to find a way to transform those impressive prints obtains by unique processes in work I can share. 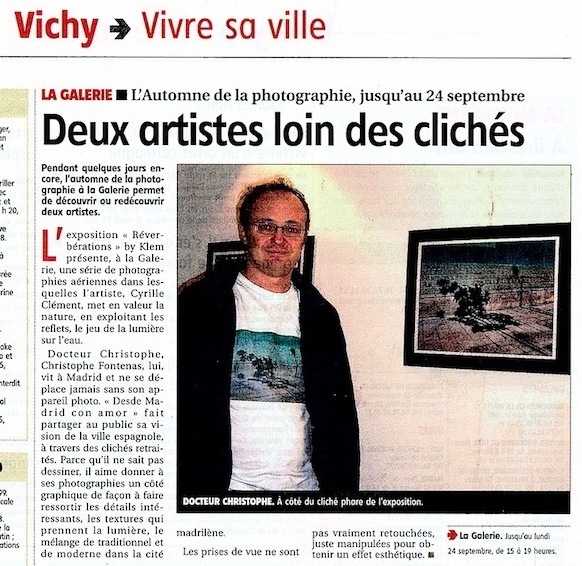 They will be the subject of the next exhibition, in France, in Spain, or somewhere else on planet earth. Click on the images to see the album of preparation and lnstallation.